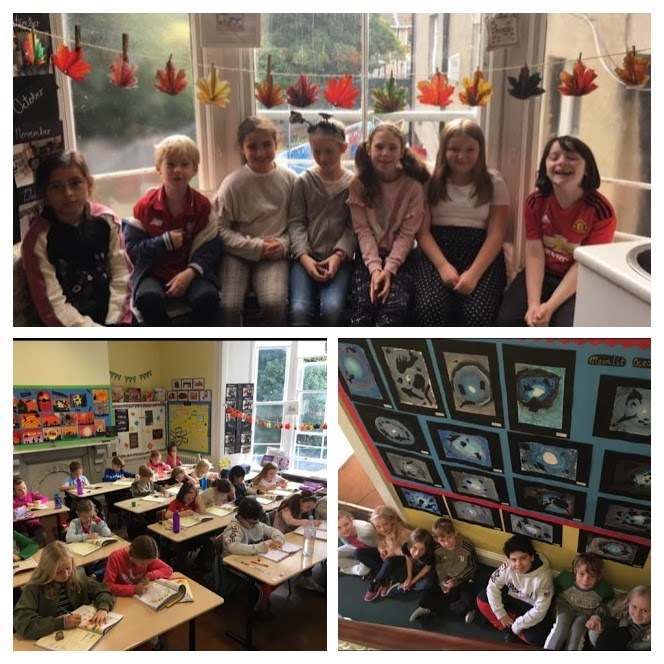 We have had a busy start to our new school year in Form Three. 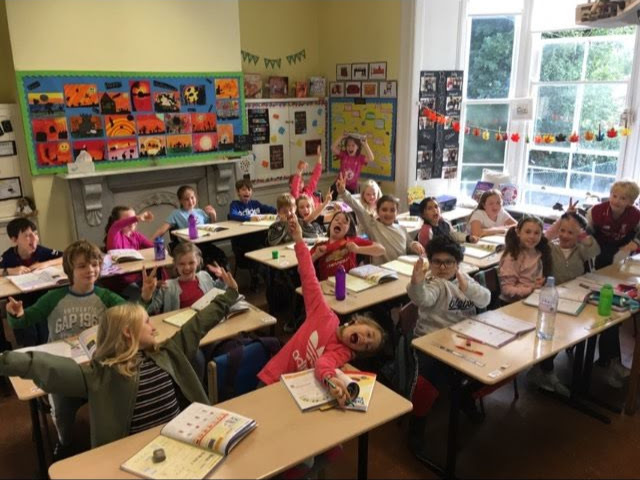 We have worked hard in all of our subjects and learned so many new things. 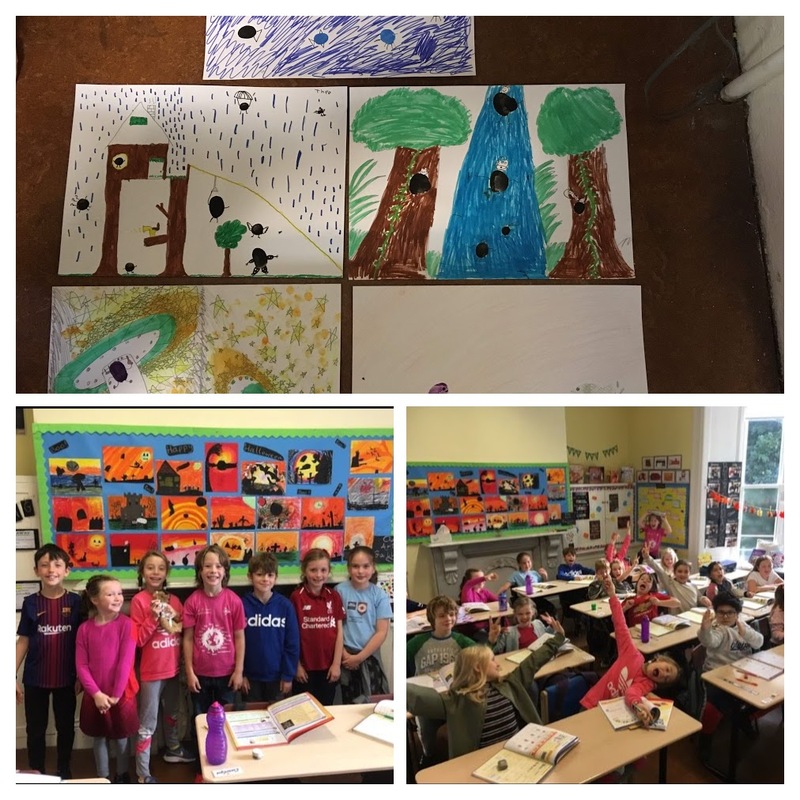 As art is one of our favourite subjects we would like to share some of ours with you. Firstly, we used paint and our fingers to print dots and turned them into different things and people. Everybody’s pictures were so different it was interesting to see what our fingerprints could transform into. Next, we continued working with paint and made our beautiful moonlit ocean scenes. We created our own colours for the ocean and then cut sea life out of black card. For our next project, we decided to give oil pastels a try. We cut a leaf shape and coloured it using autumnal coloured oil pastels. The fun part was the careful folding to create our leaf. As October came, we felt it was time to start our Halloween decorations and creations. We used our oil pastels again to make stunning Halloween skies, we used black card to add further details. We hope you enjoyed reading our piece and looking at our amazing creations.